DIY PID kits - who's done it? With what? How'd it go? Thread: DIY PID kits - who's done it? With what? How'd it go? Though many modern espresso machines come with a factory fitted PID many other well regarded entry level pro-sumer ones e.g Silvia, Gaggia Classic etc do not - and the consistent feedback is that fitting a PID is one of the most effective ways to improve the extraction quality from these. Traditionally essentially these same components have been sold in pre-configured kits at considerable price markups (~$300+) - though they still required the user fitting them anyway. BUT often these machines actual market value/worth is as much or close to the cost of these kits, which might make the expenditure on such a kit slightly illogical (IMHO anyway). In several recent threads I've found that people ended up discussing PIDs and specifically very cost effective DIY PIDs that they'd either bought in kit form (generally comprising a digital PID controller box, an SSR (solid state relay) unit and a K-type thermocouple) or individually purchased the bits from Ebay etc. Hence though it takes a little more effort it does seem somewhat logical to me to get the base components and save 80-90% in total costs though with a little more leg work required. SO.....I just wondered if anyone has fitted a DIY type PID either from a basic kit or from component they compiled themselves? If so, what did they use for components? The Rex C100 is a very common one that comes up but I've seen discussion saying it's unsuitable for many machines as it only has a 2A internal relay? But love to know what folks have used successfully. I think you're saving quite a bit of money as is so getting good quality parts and not just the cheapest ones isn't a big trade off. Likewise what reference materials did folks refer to for the install, programming of the PID etc? Discussions applying to any PID kits (even the more expensive commercial ones e.g Watlow) welcomed and any machines that they're installed into. I bought a full Auber kit for around the $300 you mentioned and wished I had gone the DIY route to save the money. I am a control systems engineer, there isn't much too these, but at the time I had the money and couldn't be bothered sitting down to order all the parts. This nice thing about a premade kit is you get everything already cut to size and terminated. Regarding programming the PID, I'm sure once you've settled on a controller you will be able to find someone else who has already got approximate parameters and you can fine tune from there, many have an auto setup function as well. If you are handy with a soldering iron, I have previously found you can crack open the cheap PIDs, remove the relay and route the coil pins to the rear terminals and then hook this up to a SSR.obviously caution needs to be taken on these, in particular when doing any testing as these units often seem to usenon galvanically isolated power supplies. Andy, Dimal, GreenBeanGenii and 2 others like this. yes, its a no brainer for the able DIY user. PID & relay are cheap ($30), + a housing of your choice unless you install internally. The biggest issues are ensuring the wiring modifications are done correctly and safely, and mounting the unit, and SSR securely. Most modern PIDs have outputs for both the SSR ( low voltage) as well as a internal relay for the mains voltage. I used the 7100 series "mini" PID, but there are many others. nikko.the.scorpio and pyrmontboy200 like this. Hi Nick. I bought cheap bits off Fleabay to install on my Gaggia Classic, but before I got around to installing it, I decided that the Classic also needed a pre-heater to get any real benefit from a PID. While I was still working out how to do this, I got a chance to buy a Gaggia Factory 106 lever machine at the right price, and then a Pavoni Pro, so I still haven't installed either a pre-heater or a PID on the Classic. I did a lot of research though, so I believe I can answer some of your questions. First, there are few (if any) cheap PID's that have contacts capable of switching the current required by an espresso machine boiler. However most will have a low voltage output that can be used to trigger a 20 or 25 amp SSR, which does the actual on/off switching. I chose a "Sestos D1S-VR-220" PID, which will accept mains power from 100 to 240volts 50 or 60 Hz. I picked it because the instructions seemed to be a bit less confusing than the two others I looked at. Also it has a 12v output across two terminals clearly labelled SSR. The SSR is a "Fotek SSR-25 DA" which will accept an input of 3 to 32 VDC and will carry up to 25 amps at up to 380 volts. The thermocouple I got is a K type rated 0 to 400° C with a one meter lead and a ring terminal sensor. This seemed to me to be the easy way to attach the sensor to the Gaggia boiler, but I'm not sure about the Sylvia. They come in various temperature ranges, lead lengths, and ring sizes. Search "K type thermocouple ring" on Fleabay. The sticky - step by step guide to PID a Sylvia ( link above) is very detailed (maybe a bit too much so) and includes some advice on setting parameters albeit for a different make of PID. RE: PID controller boxes: Are they all pretty much of a muchness? Seems the cheapest ones on the market are all Rex-C100 clones. However it appears you have to do some simple soldering/desoldering to make those usable. I'm not averse to that BUT I've also read that their build quality is quite variable - especially as they're so heavily copied etc. So is there a recommended model above that that works well? In the guide the CD-101 is used and it's still able to be bought for around $30 - but not sure if it's dated or still the best choice. The Sestos referenced above is available for a tad more, there's also some XMT ones and also MyPin or similar in the same sort of price range - dunno if any of them are the 'best' choice or if it's whichever one is cheaper....? RE: SSR: Just wondered there's a lot of 'kits' of components that include 40A SSR's rather than 25A. Obviously is overkill for the needs but it that a good or bad thing? e.g if at same price preferable to have the 40A SSR or 25A? Be aware that some of those PIDs are 12 volt DC input, which means you would need a suitable power supply to use them. That is an unnecessary complication. Also many of them are single channel only, which is fine unless you want separate control of steam temp as well as brew water. Search the 'bay for a XMT 7100 PID. They are the smaller 1/32 DIN mini format, 240 v input, with SSR control output ( 8 volts) as well as a 240 volt relay and are usually about $25 post free. No soldering needed ! infact the internal 240 volt relay on mine was rated for 7amps, so it could (did !). Control the heater on my Silvia without an SSR ! Dimal, nikko.the.scorpio and saeco_user like this. Blend52, wow now thats a great sounding suggestion! Love the smaller footprint - just makes sense and would allow multiple options of where to place - so thats great. I hadn't even thought about the 12V DC input needed on those other PIDs, which although I've loads of old power adapters I could use does seem like you're said to be an additional layer of complication. However the real kicker is if I'm understanding what you're saying correctly there's no need for the additional 25A SSR! Well that certainly simplifies matters a LOT doesn't it. Gee thats a really solid suggestion and I don't think you could beat that one for overall fit for purpose suitability. Plus surely the install is that much simpler as well. You definitely want one with SSR output so you don't have to open and remove any components. They are cheap and easily available. Looks like it has almost the exact same specs and components as the MYPIN I was using. I think it has the SSR output (sticker on side says so), but not sure if it has the separate relay output as well. I don't know how useful regulating the steam temp is anyway, it's not as if you leave the boiler at this temp for any length of time. Replacing the 125C thermal switch with a 140C switch made a decent improvement for me. I'm not sure if this is the "best" option, but certainly I would suggest it is "good enough" for the job. Save your money and buy a decent Crimp Tool. ps the model suggested by blend52 may look nicer if you intend mounting internally to the Silvia. So might be back to the drawing board with the other candidates (though I suspect there's not a huge amount between them). Last edited by nikko.the.scorpio; 26th August 2015 at 03:06 PM. from memory, I think a few people had PIDs with specs listed as 3A output, but when they opened them, found the internal relay was actually rated for a much higher current. I guess it would be pot luck when purchasing one. 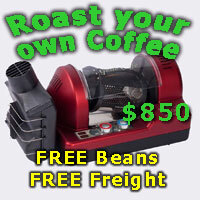 You can probably purchase one with a higher specified output current at greater cost. I would like to know what it's like having the element switched through a relay rather than an SSR. When at steady state there is quite a lot of switching happening to maintain the temperature at its set point. The light on the front flickers regularly which may be even more annoying if accompanied by the continuous "clicking" of a relay. I reckon the smaller format PID is still worth considering for use with an SSR. In the manual you linked, take a look at "7. Device Application Example"
It shows terminal 9/10 driving the SSR (this is a voltage output), and 4/5 being used for an alarm contact (this is a voltage free contact). The alarm contact is likely the 3A figure that you are seeing. SSR activated voltage: open circuit: 10V; short circuit: 40mA. Also briefly glancing at the manual, it looks like you can use either the SSR output or relay output from the PID control itself. You could actually use the alarm contact in conjunction with the SSR (if it didn't already have a suitable output), however the main problem here is that you need an external DC voltage to drive the SSR (and using the relay contact to apply voltage to the SSR). @ saeco_user. There is not much difference switching between relay vs. SSR in terms of end user. As you notice, the relay clicks on and off. SSR's do have an internal resistance, which would be more problematic at high currents and lower voltages due to the voltage drop it would introduce. Should not be a problem here. Dimal and nikko.the.scorpio like this. I will just throw this in for the sake of information. they are very similar to a PID , but without the sophisticated control algorithms, for super fine temp control. 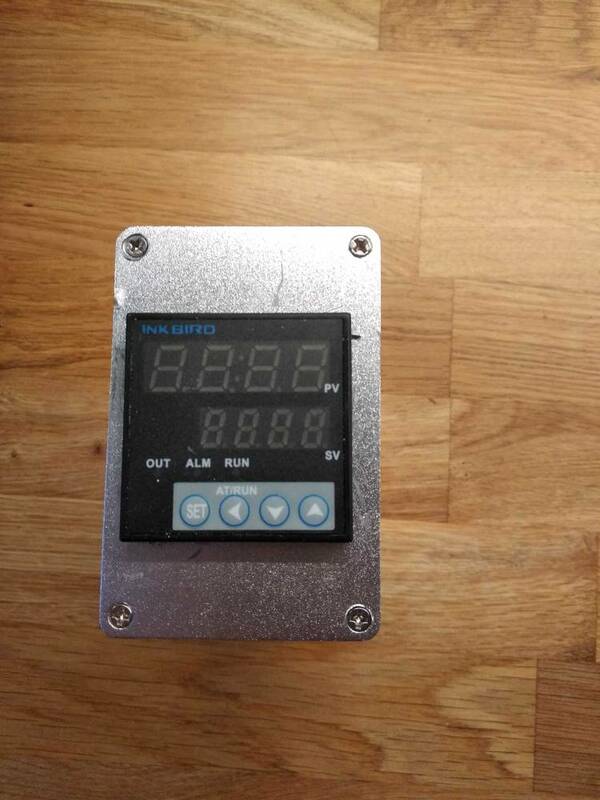 Same size and functions as a PID,..LED display of temp, adjustable temp, control within 1 deg, etc. BUT.. They are cheap , $10 is normal on the 'bay, come with a thermocouple, and have an internal relay rated for 220/240v , 30 amps ! ( thirty ), so definitely no need for a SSR. Just basicly a simple, cheap way of replacing the traditional thermostat and reducing the dead band from 15-20 deg down to 1-2 deg. 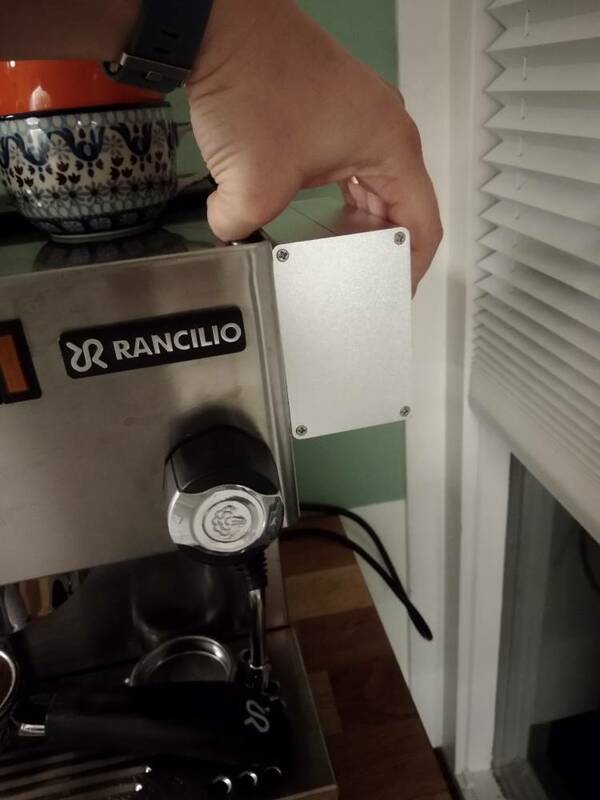 Hi, is it possible to send information how to install this on a Rancilio Silvia or alike? They are cheap , $10 is normal on the 'bay, come with a thermocouple, and have an internal relay rated for 220/240v , 30 amps ! ( thirty ), so definitely no need for a SSR. Two tips: don't buy the cheapies on ebay. That controller is known as an STC1000 and is commonly used for temperature control by home brewers. If you buy from a reputable maker like Elitech or Inkbird they will cost a little more ($20) but will actually work properly and won't even blow up. .
DO NOT rely on the internal relay in one of these for heater control. Yes it will switch 30 amps but it won't do it for very long. An SSR takes the load off the relay. Again don't buy the cheap SSRs on ebay which are often advertised as Fotek but are fakes; these have been known to burn out (literally: there are documented cases of them catching fire). It is switching mains voltage: buy one you can trust. Inkbird often have bundles available (controller + probe + SSR) known to work well. Last edited by Lyrebird; 3rd August 2018 at 11:47 AM. Hi, first off all great topic. 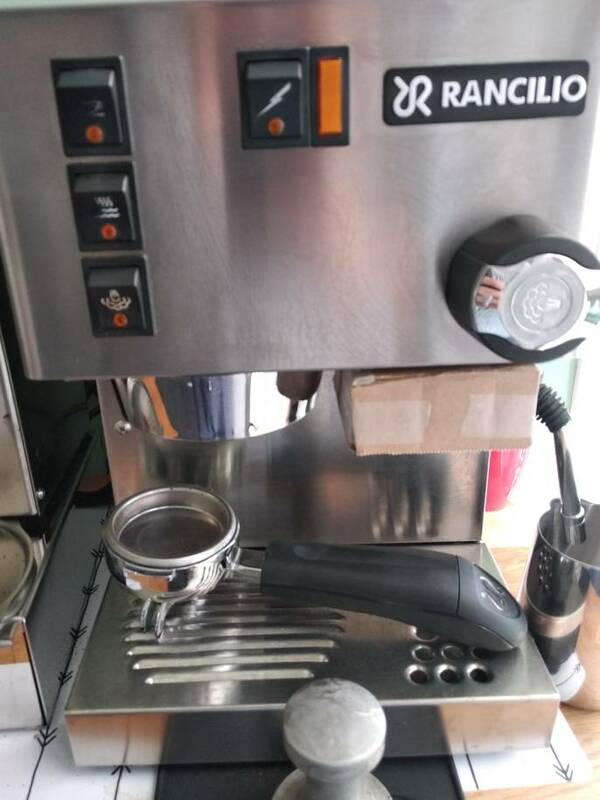 Second I am a newbie regarding external PID installation on my Rancilio Silvia v3 (2009). I recently removed my adruino based PID because of some mall-functioning which broke my max thermostat. So now I decided to go for an external PID and I would like to do it the DIY way. Mainly because of a budget and learning perspective. Based upon my current research I decided that I want to go for a 1/32 DIN form-factor and that I don't need steam control. I have read that I can see the boiler temperature while steaming and that is enough for me to find the sweet spot for steaming. I also will avoid Fotek branded SSR's because of the risk to get a fake one. 1. There is an option to get the XMT7100 with (a) internal SSR without internal relay (Alarm) or (b) with internal relay (alarm) and without internal SSR. Based on the in the information in this topic I Believe option (b) is the best way to go am I right? 2. Which of temperature sensor/thermocouples is a good basic option to choose? Is it possible to shorten these without soldering? 3. I find it hard to decide which SSR is the best option. I believe 25A is sufficient, and that I need a 25DA type instead of 25AA or 25DD. This with 3-32VDC input and 24-380/480VAC out but I do want to have it safe so nothing will catch fire. So is one of the SSR's a safe option to choose? 4. Is it possible to shorten the length of a project box while still being able to fasten the cover plate with the provided screws? I hope someone can point me in the right direction. Cables and connectors, and programming the XMT7100 will be my next focus but first things first. Cool, welcome to the club! I would like to follow your progress. I am also looking at the Inkbird ITC-106vh PID. It is 1/16 DIN, but it can be mounted at the side of the machine. I found a project box that fits and leaves enough room for the PID. Furthermore I also looked at the KZLTD 25A SSR. Based on the pictures there is quite a good amount salent applied. I had a laugh right after posting I found a Inkbird ITC 100VH with a 40A SSR and a thermocouple from aliexpress germany for a good price. Do you know what the difference is between them? I live in DDR-sweden and we got high taxes on importing stuff from outside EU. Its like 8$ +25% vac, even for a 1 dollar. Do you know if it dangerous to use a 40A SSR instead of a 25? 106VH is the new version of the 100VH. Both are overall the same. 106VH can display Fahrenheit and Celcius. The 100VH is only Celsius. I am absolutely no expert, but what I have read is that it is not dangerous to use 40a instead of 25a. It could be wiser to choose 40a because there is the possibility that cheap SSRs are actually a bit lower in ampère than described. So I myself will probably also go for a 40DA SSR. Maybe someone else can verify this, just to be sure? Over-rating the load capacity is not a problem, unprofessionally speaking (i.e. former hobbyist). Its disadvantages usually relate only to cost, packaging, or requirements to drive the device. The big thing to remember with SSRs of any rating, is to make sure they are not intended to be fitted to a Heatsink or mounted directly to a properly prepared metal surface; most are. Last edited by Dimal; 14th August 2018 at 03:36 PM. I had a laugh right after posting I found a Inkbird ITC 100VH with a 40A SSR and a thermocouple from aliexpress germany for a good price. After some searching I found a enclosure box that propably fits my needs for the 1/32 DIN XMT7100. I made a prototype of it using cardboard. Look at the pictures attached. Just a bit over the edge because of the big bolt of the steam pipe. Search term for the enclosure box: VG-AL14. Dimensions (L x W x H): 80mm x 74mm x 29mm. I do hope the height is enough for the PID. Some good info here to giver you some ideas. Thanks for the tip. I think I will go for the Inkbird. Last edited by FJP84; 16th August 2018 at 01:35 AM. I ordered the Inkbird ITC-106VH. So i have recived my inkbird and installed it. It took some time and i will probably change some of the wires later. but it is working! Tho i'm not sure it shows the right temperature. When i switch on the steam button it shows my boiler temp is 150 degrice Celsius. isn't´t that to high? Can you post some photos of your setup? Something to keep in mind when upgrading from t/stat to PID Control, is that the PID Controller operates within a much tighter band and it is this of course, makes them so attractive for Coffee Boiler control. This tighter band therefore, doesn't require the Steam Setpoint to be adjusted anywhere near the nominal setpoint of a t/stat, since the average temperature of the water in the boiler will be much more stable and not swinging between a low of maybe 115C to a high of 160C. A Setpoint of 125-130C for Steam production is well and truly high enough to provide you with copious quantities of hot, dry steam with a boiler as small as a Silvia's et al. From memory, with a Silvia, I think the ideal setpoint for Brew Water control was ~108C in order to provide water delivery of 92-94C to the top of the coffee puck. Just wondering. Is it smart to mount the external PID on the right side of the machine? This because of the steam that comes free when preparing for steaming milk, by blowing out water from the steam wand? Or is the left side more safe? With the 1/32 DIN Case, it is a good fit. That enclosure you have looks larger though. My steam is set to something like 135, so if you forget and leave it on it is relatively safe. 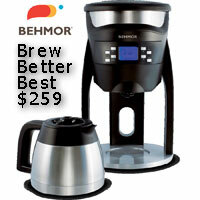 Brew temp set anywhere from 104-108, really depends on the bean. I have a 1/16 PID therefore the big project box. I think I will go for the left side! Thanks! Just wondering whether there's a simple way to utilise the alarm output's high/low settings for steam control? I'm not sure if I'm reading the specs right but it looks like it's 250V AC 3A (resistive load)? Is there a simple way to utilise just the single SSR? Maybe diodes in the PID 12v SSR output and somehow end up with 12V DC via alarm output for SSR switching for steam via high/low alarm settings? Last edited by CafeLotta; 20th October 2018 at 01:39 PM. Simple answer is to use the 12V controller on a 12V power supply which you then route through the alarm relay to control whatever you want. I did something similar recently and just cut the "prongs" off a cheap switchmode supply I had lying around and wired it in that way. If you are good with electronics you could dig around inside the 240V controller to find a low voltage DC power rail (it has to have one or more to run the logic) and route that through the relay. 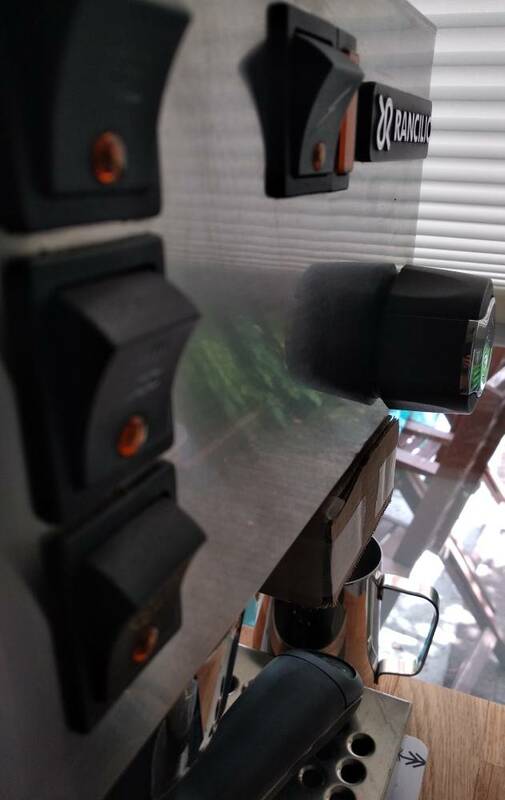 BTW it is usually a bad idea to use a power relay to switch a low voltage, low current load like an SSR, it's called dry switching as there isn't enough current to "wet" the relay contacts. You can ameliorate this to some extent by wiring a shunt resistance across the relay terminals so the relay is switching a bit more current but then you'll need to add one or more diodes to the SSR drive so it isn't trying to supply current to the shunt resistance. Last edited by Lyrebird; 20th October 2018 at 02:26 PM. Not my area of expertise so can only use and understand layman's terminology. I don't have stuff laying around so am after an economic and easy solution as I need to buy any components required. The intention is to use the 240V 25A SSR as intended and switch via the 12V SSR out of the PID for Brew Temp control. For steam temp control, I was hoping to connect to the same 3-32V DC input terminals on the SSR for switching via the alarm out on the PID. I need the simplest off the shelf way to go from the PID alarm out (250V AC 3A resistive load?) to 3-32V DC input for SSR switching on/off. Will a 240V to 12V switchmode supply be happy with the constant on/off from the alarm out from the PID? My understanding is that I also need to isolate the PID SSR 12V out switching signal via diode from the 12V PID alarm signal as they connect to the same 3-32V DC + and - input terminals on the SSR? Last edited by CafeLotta; 20th October 2018 at 03:28 PM. I had a look at the manual, it looks like a copy of the Rex C100 which I use as the controller on my composites oven. There is no 12V alarm output: the controller alarm out is a relay* the 250V 3A is the rating of the contacts. You can use this relay to switch a DC voltage, I believe it is rated to 28V DC. (see below comment re relays). Yes a simple switchmode power supply is usually OK with being switched through a relay but if you are at all worried just shunt the output so it sees a small load even when the relay is open. For a 12V supply a 1 kohm resistor will do but use one rated at 1 watt or so: if you use a 1/4 watt it will get very hot. The diode thing is easy: for as many control signals as you want to send to the SSR, just connect that same number of ordinary diodes (1n4148s will do) with their cathodes commoned to the +ve terminal of the SSR. The cathode is the end marked with the ring (black for the 1n4148). The other end is the anode. Apply the first control signal to the anode of the first diode, the second to the anode of the second diode etc etc. This is a basic diode OR circuit, the output goes high whenever any one of the inputs is high. In logic OR is the inclusive or**. This is confusing to non logicians as in ordinary speech "or" is generally exclusive. ** an inclusive or is true whenever any one or more of its inputs is true. An exclusive or is true when one and only one of its inputs is true. Think I'll just start with basic PID temp control of brew water before worrying about the steam temp control. I'm reasonably happy following wiring diagrams or replacing bits with the item in front of me but aren't following you entirely via the written description - ("just shunt the output so it sees a small load even when the relay is open" ?) Not having the correct vocabulary to start with could lead me to misinterpret what you are writing. Appreciate your input Lyrebird but will have to ponder a little more and do a bit more "learning". At the moment I'm not 100% confident wiring in the steam control so will leave it. Waiting for the PT100 sensor and PID enclosure to arrive from Auber. I probably should have bought the Auber PID with Steam control as it seems to have a selectable 2nd signal output for steam to a Dual input/output SSR. Seems much cleaner and straight forward to hook-up. May still go that way eventually. Last edited by CafeLotta; 22nd October 2018 at 03:07 PM. Last edited by Dimal; 22nd October 2018 at 04:17 PM. Thanks for that Mal. I was wondering whether there's a big difference in the Auto-tune feature between the different brands/models? Is it a case of you get what you pay for or much of a muchness? The CN132 around $330 odd. The E5CN somewhat more. Compared to current dedicated brew boiler or single boiler (non-Hx) machines, mine has different positioning of boiler nozzles for grouphead water in/out and reservoir water pumped in. Could make for an interesting time finding the best sensor length for the internal PT100 sensor. Water pumped-in from the reservoir is directed towards where the sensor will be. Last edited by CafeLotta; 23rd October 2018 at 04:46 PM. Autotune methods do vary from one manufacturer to another but so long as you stick with reputable manufacturers, you can feel pretty safe in the knowledge that they will have optimised their design to get the best out of their controllers. I have all the components to install the Inkbird-106vh PID on my Rancilio Silvia. - I want to connect a ground cable to the boiler to connect it to the outside of the aluminum projectbox. Is that the way to go. - can someone give me info about the procedure how to auto tune this PID. Hi, first step was preparing the aluminum projectbox. It was the first time I did process aluminum and I am not proud of the results (see picture). This made me think to create a projectbox out of wood (thin multiplex). Is this a safe option and do I need to ground the box with a ground cable from the boiler? A good source for custom made RTD PT100 temp. sensors is TC Direct as shown below. After finally getting around again to looking at installing the Inkbird ITC-106VH PID on my old Vibiemme Piccolo/Levetta I decided to keep it simple and forget about Steam temp control for now. One issue that has held me up was finding a suitable RTD PT100 sensor. The current Capillary Thermostat has the sensor bulb unit inside a 150mm long thermowell. Originally was going to pull the thermowell and mount a 1/4" BSP x 60lg PT100 sensor in the top of the boiler but due to the position of the water inlet I eventually decided this wasn't the best way to go about it. Anyway long story short, I found a good local producer/retailer that made up a RTD PT100 Class A 3 wire sensor with potseal which exactly met my needs. The 1/4" x 150mm lg sensor is a perfect fit for the exist. thermowell. Not cheap at around $70 but at least I know what I'm getting unlike the $40 Korean ones I came across that couldn't even tell me if they were Class A or B.
I'll give this a try initially and if need be remove the thermowell and use one of the company's proprietry 1/4" BSP male compression fittings that allow easy depth adjustment of the sensor probe with direct water content. Even though they generally deal with commercial process control needs, they were very helpful and a pleasure to deal with. They aren't in the coffee industry but if you know the specs of a sensor you require, they seem to be willing to custom make. Not cheap but reasonable for hard to find custom items I think. Might be worth bookmarking. They're located near the cnr of Centre and Clarinda rds in Oakleigh Sth in Melbourne for pick-ups. Last edited by CafeLotta; 1 Week Ago at 11:28 AM.